SERVICES - Liquid Landscapes, Inc.
What is it? 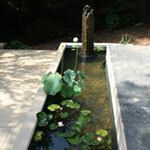 The creative design/or use of water that modifies the visible features of an area of land or structure. What is it? Any design and/or planting project from a complete design for a new construction to partial or full renovation of an existing landscape. What is it? 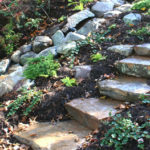 The design and construction of walkways, patios, driveways, walls, pergolas, and any structure that creates a boundary between it and other landscape features or softscapes. What is it? 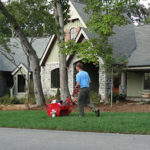 Custom-designed illumination schematics and installations for landscape enrichment and security. What is it? Our property maintenance programs are custom designed to meet the needs and desires of each individual client. 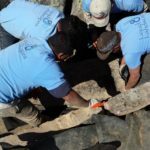 Services include annual contracts or project work such as Fall and Spring cleanups, installation of mulch, floral displays, maintenance of lighting, complete waterscape care, and other services per client basis. What is it? A selection of many of the services we provide homeowners, designed to meet the needs of commercial clients. 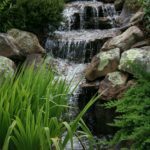 Nothing makes a bigger impact on the refinement of your business environment than a well-designed, properly maintained landscape. 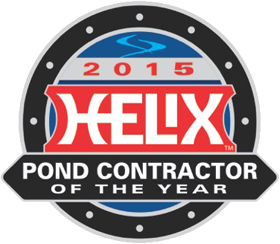 Contractor of the Year Award!